CINDERELLA Fever starring Lily James and Richard Madden started to hit a fan of Disney's Princess is in almost all parts of the world. Classic tale of the '50s was successfully conjured the world community with an epic story of love and romance. However, in the live-action (not cartoons) that towed director Kenneth Branagh is no fundamental difference from the cartoon movie, which Cinderella is not a musical. Inherent in our memory if the name of the movie Disney's Princess always synonymous with singing everywhere. Bippity Boppity Boo and The Work Song (Cinderelly, Cinderelly) are two songs that are very attached to this film. Unfortunately, the fans must be a little disappointed because they will not listen to two new versions of the song. Eric Eisenberg from Cinema Blend time to see Chris Weitz, the screenwriter. Mentioned about why Cinderella is not a musical, he replied that he was not a simple blade made. In fact to be honest, the idea of this musical drama did not discussed since the beginning of the project is implemented. "I do not know how to write it (the musical). For me, it's easier to do it in cartoons than live-action. That is why most of the Disney animated film is a musical films. If made into a live-action version, I felt it would be very difficulty, "said Chris Weitz. 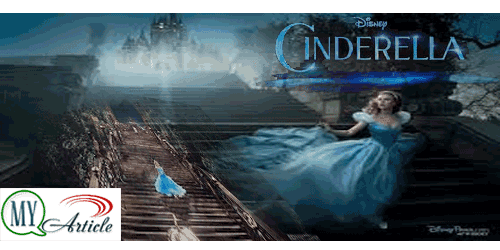 "We are inspired by the story (Cinderella) in 1950, of all the elements and ideas. I also can not get rid of Bippity Boppity Boo out of my mind. Unfortunately, it's not going to happen here, "he added. But do not be sad, Helena Bonham-Carter who plays the Fairy Godmother will give you a surprise. What is that? Whether he will sing Bippity Boppity Boo? Or he will dance and bring The Work Song (Cinderelly, Cinderelly)? Well, if Cinderella does not include the two songs above, does not mean if all the live-action Disney's Princess will be so. Jon Favreau promised that in THE JUNGLE BOOK latest version, Bill Murray who plays Baloo will sing Bare Necessities. While the beautiful Belle, Emma Watson, who will play a role in BEAUTY AND THE BEAST will actually bring some songs on it.